How much brainpower goes into designing a cochlear implant? This is the third, and final, post in a series of behind-the-scenes looks into how a MED-EL cochlear implant is made. 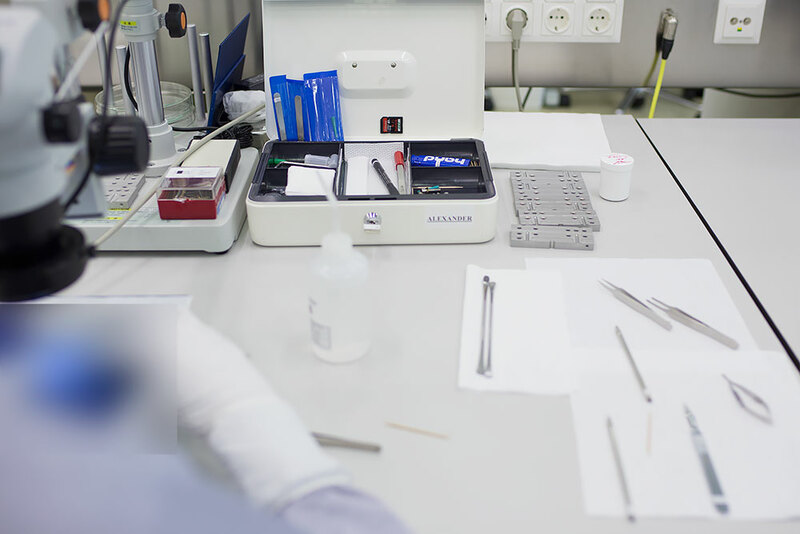 In previous posts we showed you how we handcraft our electrode arrays and cochlear implants. 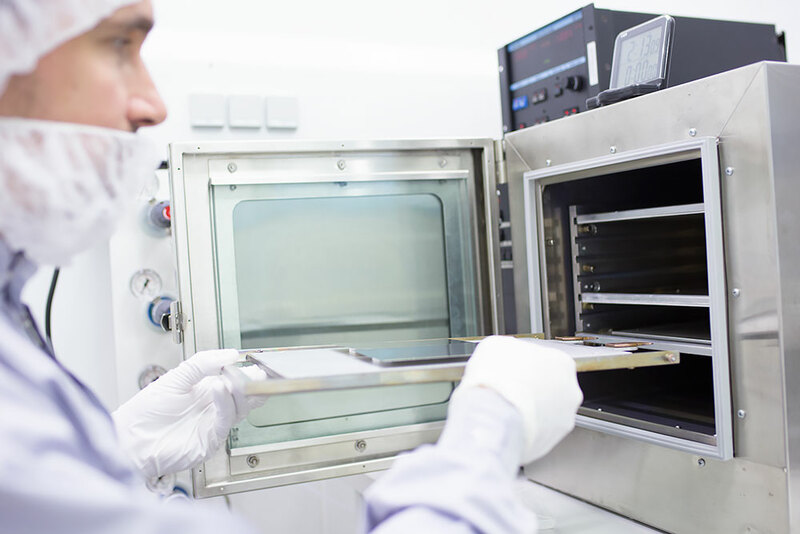 Now, we’ll dive into the research and development that we do here at MED-EL: to give you an idea of the work that goes into making such an advanced medical device. Some parts of the pictures have been blurred out because they include information about products that are still in development. So first, what exactly is research and development? 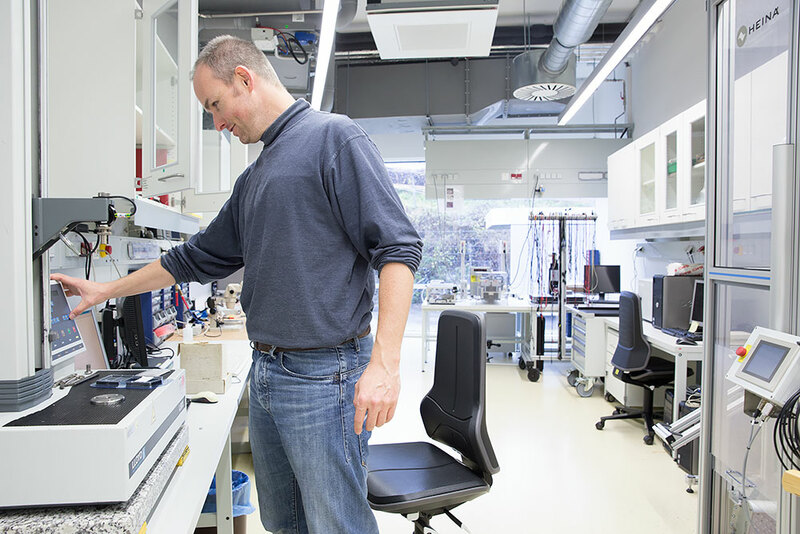 At MED-EL, it’s the collaborating of our greatest research and engineering minds and their specialties—physics, electronics, programming, manufacturing, design, testing, and more—to make world-class cochlear implants. All new products start with a design. 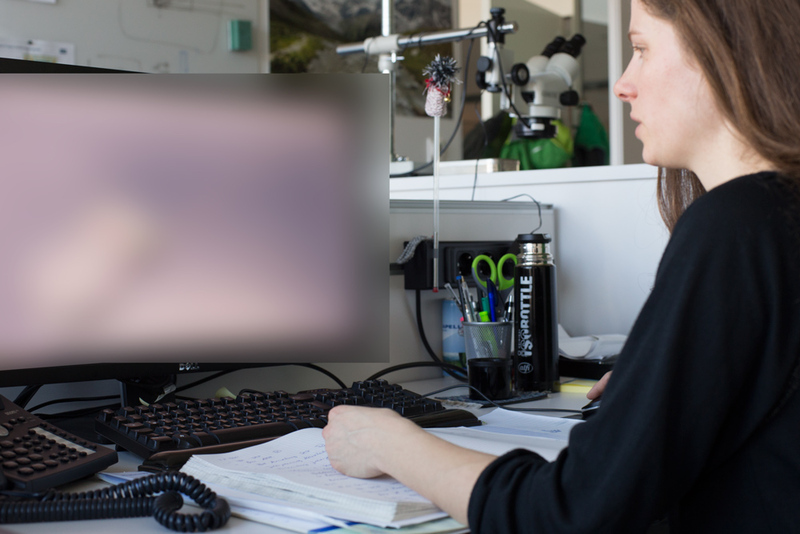 Here, one of our mechanical engineers is working on designing the shape of a new cochlear implant (obscured). She has to consider a whole host of different factors to make a combination of light and strong, of small and feature-packed, and more. By working together with other teams of R&D engineers she’s able to turn their ideas into reality. Once all the plans for an implant or new electrode array design are in order, then we go ahead and make prototypes for testing. Sometimes these prototypes are non-functioning dummies, and sometimes they’re almost exactly like the implant that you might have received. It’s these prototypes that we test and analyze, over and over, to make sure we have the best implant possible. The electronic brain of the implant is in the computer chips. It’s these chips that receive sound information from the audio processor and send it into the cochlea with electric pulses at up to 50,704 times per second. Here, our electrical engineer is putting a number of different computer circuits to the test. By analyzing their performance we can find out which design will let our implants give the best hearing quality. The same thing goes with the implant’s physical construction: we’re always thinking up new designs or ways to manufacture an implant, and the only way to know if they’ll work for sure is by actually making them. 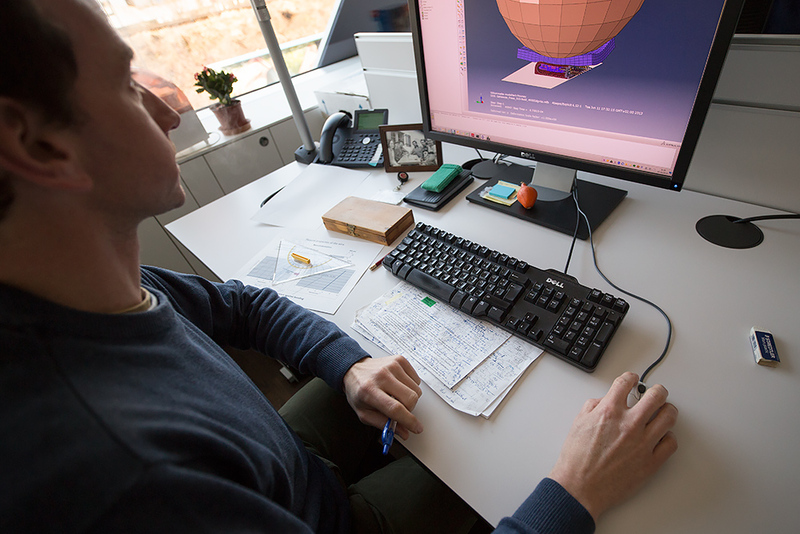 Here, one of our prototyping engineers is working on a new design for an implant. If his table looks similar to the manufacturing benches we showed in part 2 of this story, that’s because it is: we manufacture our prototypes to the same meticulous standards as we do our “real” implants. We also do physical testing on all of the materials that go into an implant: the platinum-iridium wires, the titanium casing, and more. By bombarding them with different environments, gasses, temperatures, chemicals, electrical currents, and beyond, we can make sure that we’re using only the best materials. For example, here one of our manufacturing engineers is investigating how different surface treatments affect the titanium that is used in our cochlear implants. Because the implant’s silicone coating sticks to different materials and surfaces differently, we need to test a range of materials and surfaces to make sure we use the best one in our implants. In this experiment, our manufacturing engineer is using a plasma treatment system to investigate different ways to treat the titanium’s surface. He puts the titanium in the air-tight chamber and fills is with particular gasses that react to energy and change the titanium. But it’s not good enough to just look at an implant’s components with human eyes. We methodically test real implants in real-world conditions. For this, our prototyping engineers manufacture implant components, and even full implants, for the sole purpose of pushing them to the very limits. Below is one of the rooms where we do some of our mechanical testing. 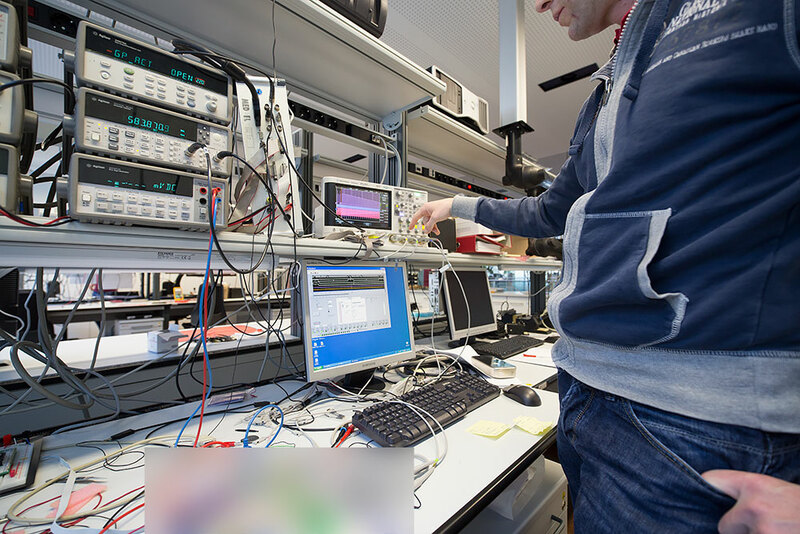 For example, here our testing engineer is analyzing the strength of an electrode array made with a certain type of platinum-iridium wires. The results can help us know what mixture of materials, and manufacturing steps, give us the best balance between reliability and flexibility. This way we can manufacture the softest and most flexible electrode arrays. Only by subjecting our prototypes to the most extreme conditions do we know that we’ve built the best cochlear implant we can. When our engineers have finalized the prototype, then it gets turned into a cochlear implant design that’s ready for manufacturing. At that point we’re on to a new “beginning”: making the electrode array, manufacturing the cochlear implant, and designing the next generation. So, we hope that you’ve enjoyed this inside look at how we intricately craft our cochlear implants here at MED-EL. We’re proud of the dedicated teams of engineers, researchers, technicians, and so many others that you’ve seen featured here, who work their hardest to make the best cochlear implants possible. We’ve been doing this for over 25 years, and will keep doing it: continuing to raise the bar and make the best cochlear implants possible. And don’t forget to subscribe to the MED-EL blog to keep getting great information like this!